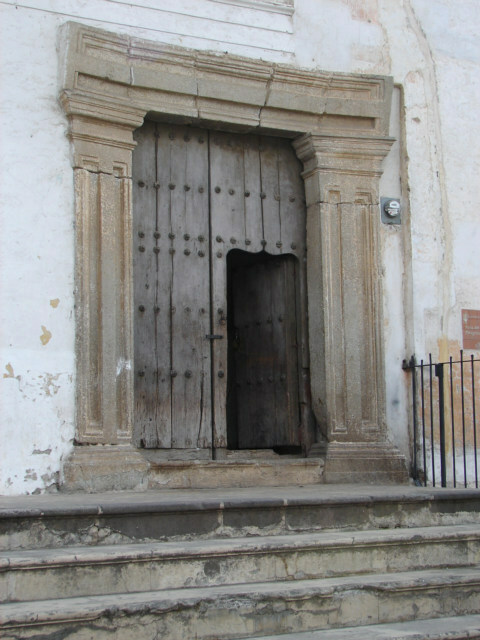 This is a Spanish I suppose colonial type door, my guess is in the 1700-s by the signs on other buildings. 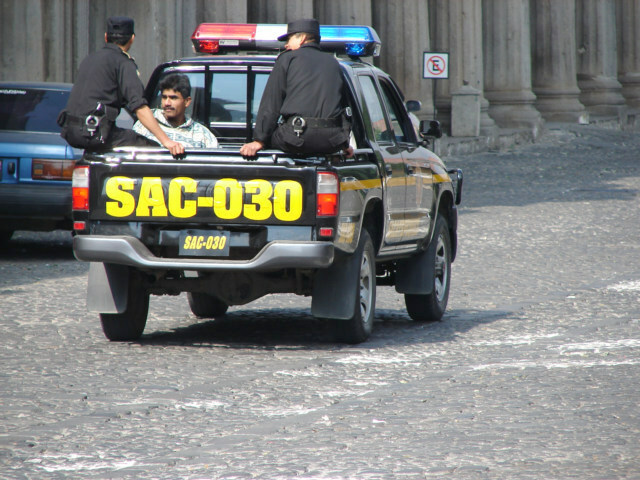 A Latino method of Police control, very common to see a little dangerous to take their photos. 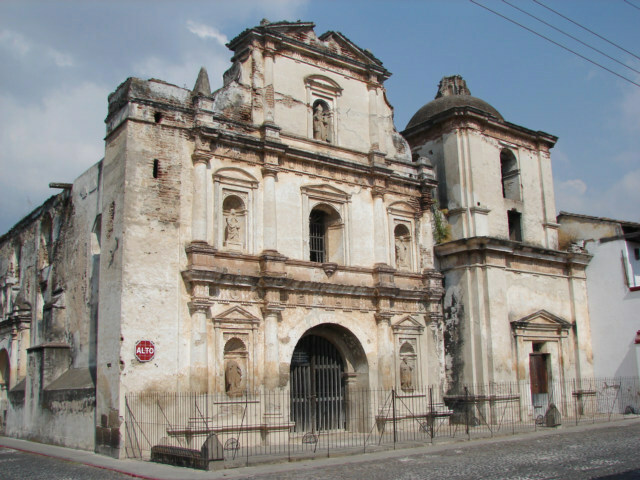 A building in Antigua Guatemala. 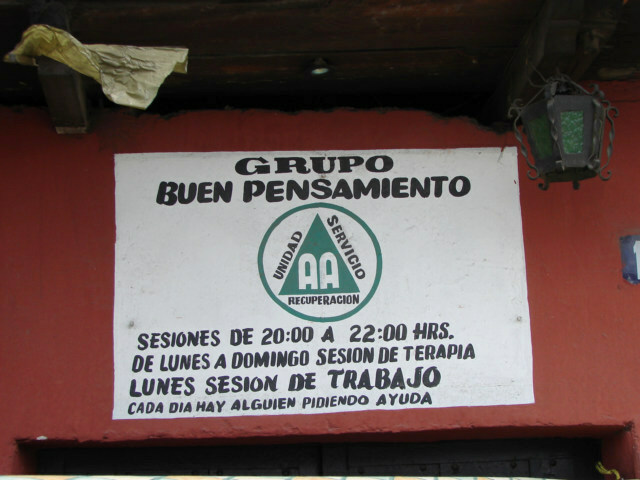 A sign saying or indicating the Alcoholics Anonymous meeting place here in Antigua Guatemala. The little triangle is the indication. 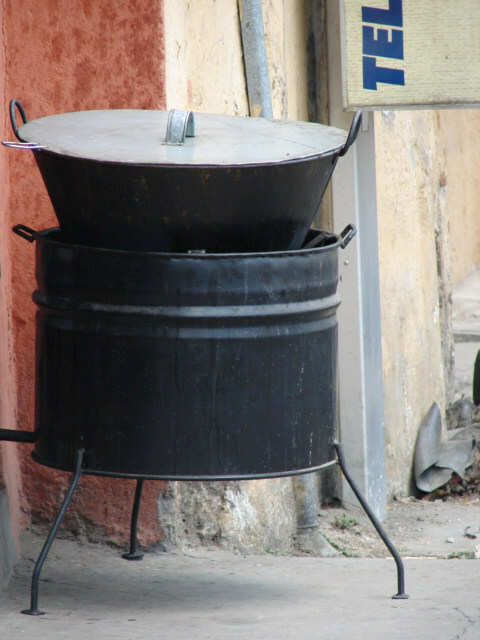 A cooking pot that is innovative, taking a 55-gallon barrel and making the holding area for the firewood.